When you deploy your Windows Azure Application sometime you may face problem like Initializing, Busy and Stopping states cycling between. This blog provide you the check list for the most common reasons. We’re very delighted to have a trio of Azure enthusiasts who’s willing to share with us about Windows Azure, from high level all the way down to code level. With the cloud as an emerging architecture in future systems, all of us should be aware of how cloud will change the software ecosystem, architecture, design and even how we deliver our software or systems. September UG meeting will be held on 2nd September 2010 on this Thursday, at Level 21 Auditorium from 1845hrs – late. Light Refreshments will be served before the session. Wely and Faizal are both working as Solutions Architect under Chief Architect Office from NCS. Both of them are taking care of the Cloud competency as part of their day-to-day job. To register for the event, click here. Note that there’s currently no email confirmation for the event. 4. Go to Web Platform and Select database, make sure that you selected Express edition and Management Studio. 6. While the installation is going on go to Windows Azure Platform Training Kit and download the kit. This kit will provides some cool videos to watch to give you an overview of Windows Azure. Once download completed open the training kit and work through both the Windows Azure and SQL Azure labs. With SharePoint 2010, you can deploy Office Web Apps which helps to view / edit Office document (Microsoft Word, Excel, PowerPoint and OneNote ) over the web. Download Office Web Apps from the Microsoft Download Site. This download is available to Volume licensing customers or those with TechNet and MSDN subscriptions. Click Start the Wizard… (Or) Click cancel and activate the Office Web Apps services individually when you need for my case i just click Start the Wizard and completed process. Activate Office Web Apps…. and view/ / edit on browser. Installing Office Web Application on SharePoint 2010 after the configuration wizard is through with its process you may ran into an issue on Step 5: Configuring SharePoint services. The configuration wizard failed with an InvalidOperationException with the following entry in the eventlog. Failed to register SharePoint services. An exception of type System.InvalidOperationException was thrown. Additional exception information: Failed to load or format string Id ManagementUI_ExcelCalculationService_FriendlyName for culture en-US: System.TypeInitializationException: The type initializer for ‘Microsoft.Office.Excel.Server.Host.ExcelServerHost’ threw an exception. —> System.Reflection.TargetInvocationException: Exception has been thrown by the target of an invocation. —> System.TypeLoadException: Could not load type ‘Microsoft.Office.Excel.Server.Extensions.IHostExtension’ from assembly ‘Microsoft.Office.Excel.Server.MossHost, Version=14.0.0.0, Culture=neutral, PublicKeyToken=71e9bce111e9429c’. Click run and type regedit enter goto HKLM\SOFTWARE\MICROSOFT\Shared Tools\Web Server Extensions\14.0\WSS\Services Delete the key for the service causing the error and re-run the configuration. After the delete the coniguration wizard ran successfully to completion. Please note that by removing above reg. key the Excel Service will appear under SharePoint Central Admin. Configuration. so you may not able to view Excel document online. There are many definitions of Cloud Computing out there. Here is one of them that seems to represent the most commonly held view. Microsoft InfoPath 2010 provides easier way than ever to design electronic forms. It includes Office Fluent UI which allows us to create powerful, interactive forms without having to write any code. 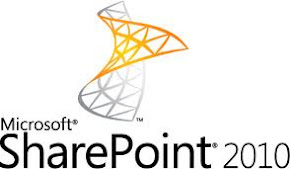 This session will show how to use InfoPath 2010 and SharePoint 2010 to increase your productivity in solution delivery. Formatted mostly as on stage scenario – demos , we are expecting to expose all new functionalities. As an application platform, SharePoint comes with a wide collection of building blocks that enables both business and technical users to create applications to suit varying business needs. We will be exploring forms and worklows in SharePoint - two commonly seen building blocks in a business application and review how can they be combined to establish high performance SharePoint solutions with the minimal effort possible. Refreshments will be provided, courtesy of K2 Singapore. The FIRST ever SharePoint Conference SEA is coming to town on October 26-27. Register NOW!